Are you ready for the greatest season in history? 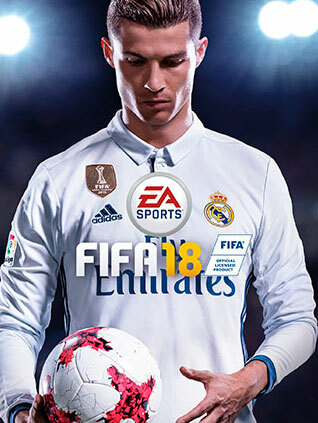 FIFA 18 based on Frostbite blurs the boundaries between the virtual and the real world, thoroughly recreating the players, teams and atmosphere of real football. - FIFA 18 based on Frostbite blurs the boundaries between virtual and real, thoroughly recreating players, teams and the atmosphere of real football. - FIFA 18 introduces a new animation system that provides a unique level of response and reveals the player´s personality. - The whole world talks about Alex Hunter. Soon a new season will begin, and there are rumors that Alex Hunter can move to another club. - Legendary players, six new archetypes, a new position selection system and other innovations ensure immersion in the world of the great game. - The best of the best - in FIFA 18. Play such legendary players as Ronaldo, Diego Maradona or Thierry Henry. This summer, we will talk about other gaming opportunities FUT and Kumirah games. - Such details as the exact location of the Sun, cinematic transfer of atmospheric effects, accurate reproduction of the specific features of the field and banners of a particular club or stadium, adaptive comments - and not only this creates a real atmosphere of a football match. - Thanks to the new command styles in the game there are all the most recognizable tactics of the best teams in the world. Now you will have more time on the field to read the game thanks to the new position selection system, and improved tactics create new opportunities for the combination game. 1. Download and install EA Downloader - Origin. (Http://www.origin.com/download) = ALWAYS THE LATEST VERSION OF THE PROGRAM! 4. Log in using the e-mail address and password specified during registration on the EA website. If you are not already registered on this site, then create a new account. ATTENTION: After activation of the serial key in Origin, the key becomes invalid, i.e. You can not use it again. MUST remember, and better write down all the details of your account! Without them, you will not be able to access the activated games in the future. Приобрел "FIFA 18 (Region Free / RU) + ПОДАРОК" КЛЮЧ АКТИВАЦИИ ORIGIN пришел быстро, активировал, все работает!